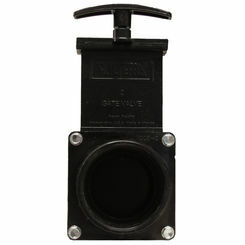 Check out our awesome selection of gate valves here at PlumbersStock. One of the oldest valves still used today, the gate valve has been in use since roughly the nineteenth century and has had quite the impact ever since. This type of valve offers many advantages, especially when working with thick viscosity liquids. 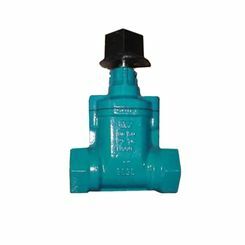 The gate valve can stop the flow of fluid with ease. 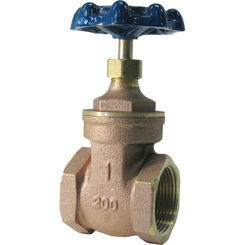 This valve has sealing surfaces between the gate and seat, meaning it is on a straight-line. 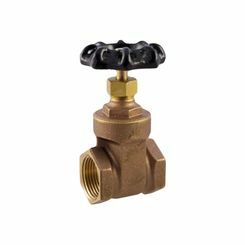 This valve is extremely helpful in a variety of plumbing and irrigation applications, but can also be helpful in the home. PlumbersStock offers a bevy of options. 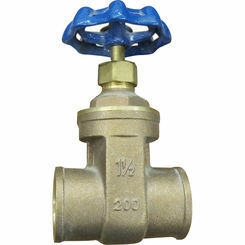 We carry products name brand gate valve manufacturers (American AVK, Watts). It is essentially a type of stopper in a pipeline intended to block the passage of fluid. 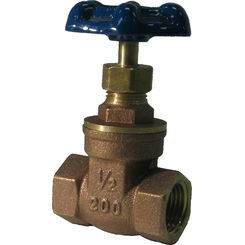 For this valve to function properly, the stopper must lift out of the way to allow flow. 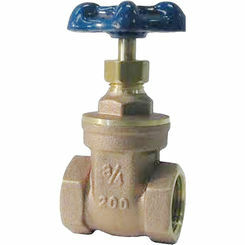 In many cases, this valve is designed to be either fully opened or fully closed. 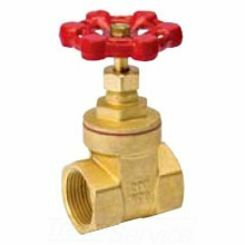 Normally the gate valve should not be used for regulating flow unless they are constructed for that purpose. Control of the valve is easy with a convenient-to-use handle. Turn the stopper to slide it down into the pipe to block viscous liquid from passing through. 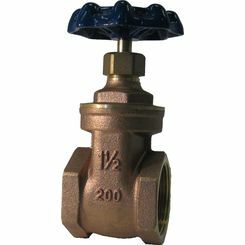 Gate valves are constructed with two threaded connectors that hook into the pipe system. It is possible for this valve to have more than two connections. 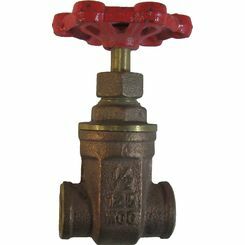 The gate valve is typically used in the industrial world because of its unique ability to pierce through high-viscosity fluid. 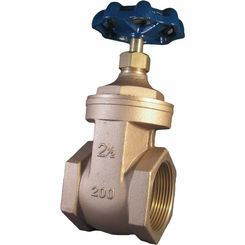 A gate valve is unique in that it offers either a non-rising or rising stem option. The latter is convenient because with a quick glance you can see the valve positioning because the gate and the stem move in conjunction. 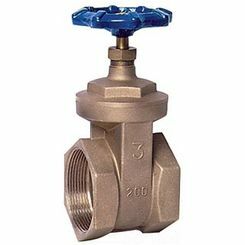 A non-rising gate valve typically has a pointer toward the top of the stem to indicate whether the valve is open or shut. The valve body is covered by a bonnet to protect it from damage. Bonnets provide a leak-proof enclosure. 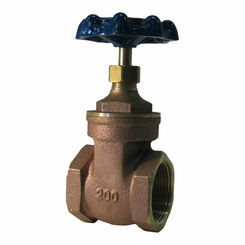 This type of valve is an essential piece of equipment when working with a constant flow of thick fluids. The petroleum industry, and others, would not be able to function adequately without water gate valves. How much pressure can the valve take before it cracks? What will happen if it cracks or breaks (will it flood my field or home, etc.)? Is the valve easy to fix or replace? One of our main goals here at PlumbersStock is to help inform you on the many options that are available to you and would be happy to take your call if you cannot find what you are looking for here. Please do not hesitate to contact our team today with any of your questions or comments about our gate valve parts.  Find out for yourself why we are a leader in fittings online.